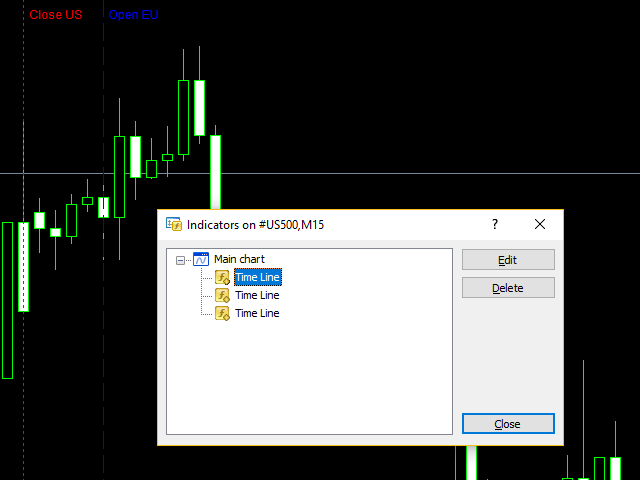 TIME LINE is a simple indicator that draw vertical lines at a time on chart. 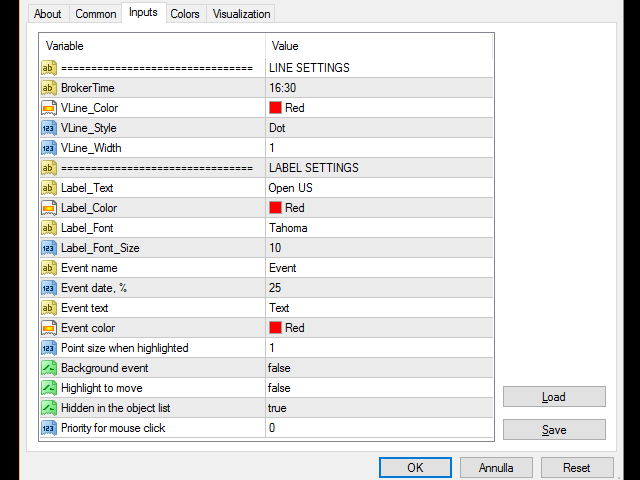 You can also set up a label in order to show the meaning of the vertical line. It is very useful to separate one or more time zones (ex. London Open Time, American Open Time...). For more zones it necessary to upload more indicators on chart. 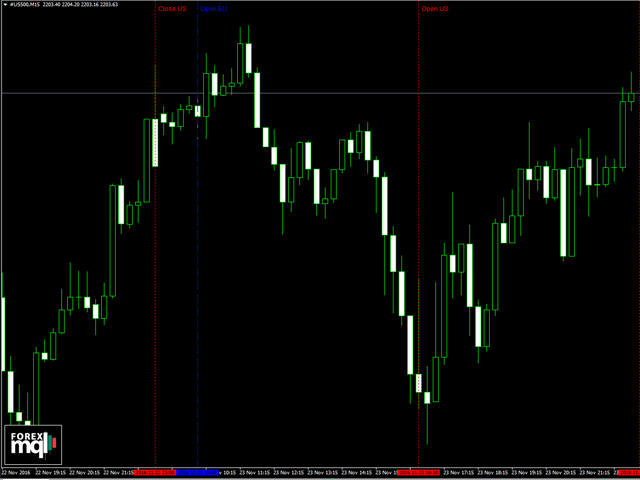 The indicator is very simple to use, just place it on the chart and set values and the desired style. 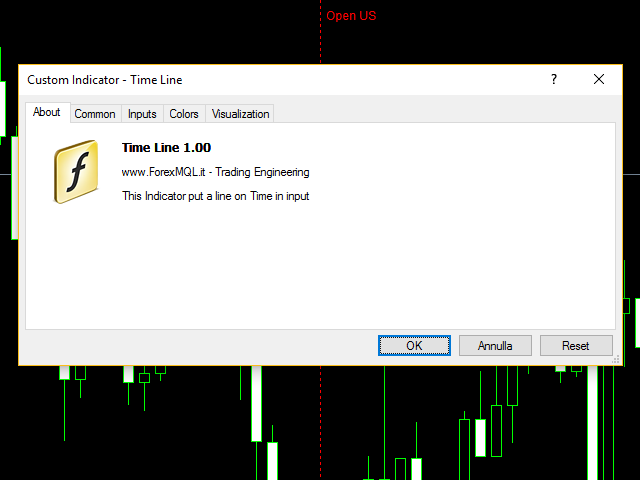 ForexMql releasing these tools completely free.